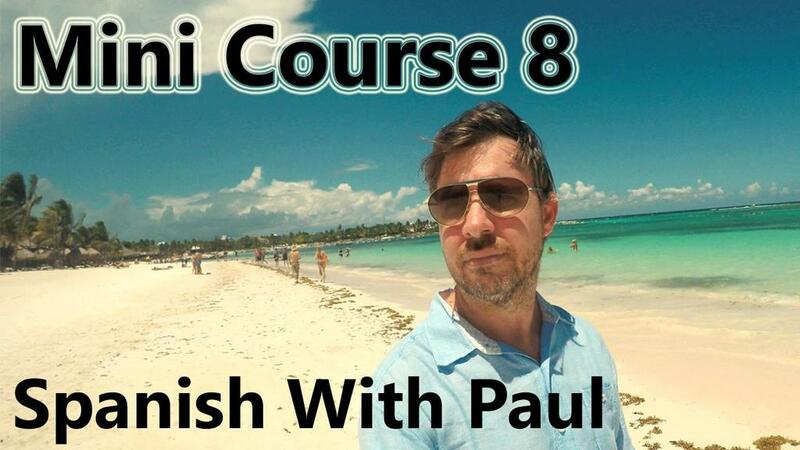 Download "SPANISH WITH PAUL MINI COURSE 8"
Edited by Foxit PDF Editor Copyright (c) by Foxit Software Compa For Evaluation Only. Lesson 28: Other Prepositions. (by, about, like, of, with, without) Lección 28: Otras Preposiciones. Cómo usar otras preposiciones? 100 Essential Spanish Phrases for Teachers 1. S/he is (very) bright Es (muy) lista/o 2. S/he needs to work on spelling Necesita estudiar su vocabulario 3. Thank you / You re welcome Gracias / De nada 4. Te gusta más ir al campo o ir a la playa? Me gusta más ir (a la playa / al campo). Practice Workbook 3-1 It s a beautiful day and you can t decide what to do. You need a friend to help you make the decision. Complete the conversations by underlining the correct answer. Follow the model.